…unless you deal with the format first. Let’s face it, nobody wants to read what you write in business. It is not a love letter or one written by your cousin Henry who has been travelling the world for the last six months, where a short letter could cause hurt feelings. Believe me, nobody has their feelings hurt when they read a short business letter. 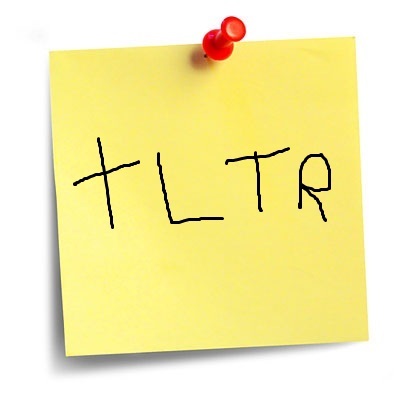 A lot of instructors send back a post-it note with the initials TLTR (Too Long to Read). They couldn’t even take the time to fully write it out! It was always difficult to keep a customer’s attention but it’s becoming even more of a challenge with generations who say, “if you wanna’ communicate with me, keep it short”. Mind you, they don’t say that if it isn’t short – they just don’t bother to read it at all. You are going to force white space into your letters. They look and they are – easier to read. I could go on, but best I practise what I preach, eh?